The Trend range is ideal for those with a sporty driving style – and the price is ideal as well. It makes heads turn with its spotless workmanship, perfect quality from Allgäu and many features that can hardly be described as standard. 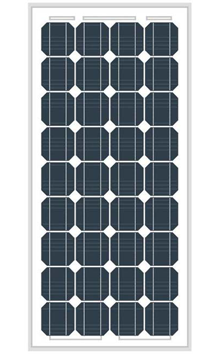 This includes for example the rot-proof Lifetime Smart conversion construction. For the new model year the most popular range has been revised and is presented now fresher, more harmonious and with many clever details. 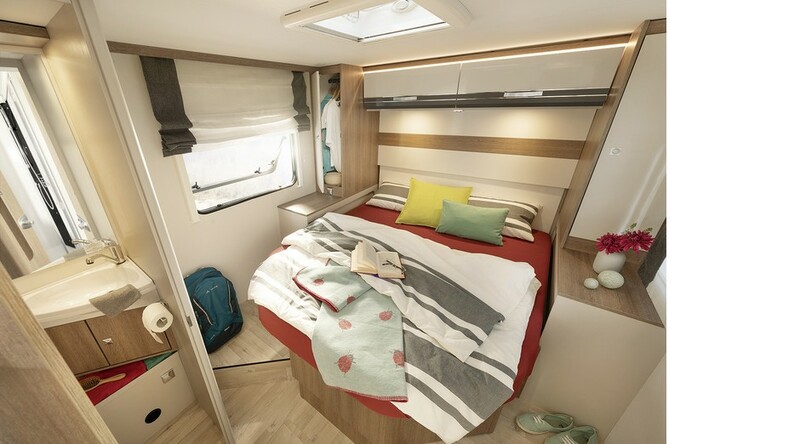 For maximum flexibility there is wide selection of sleeping berths in the Trend models. 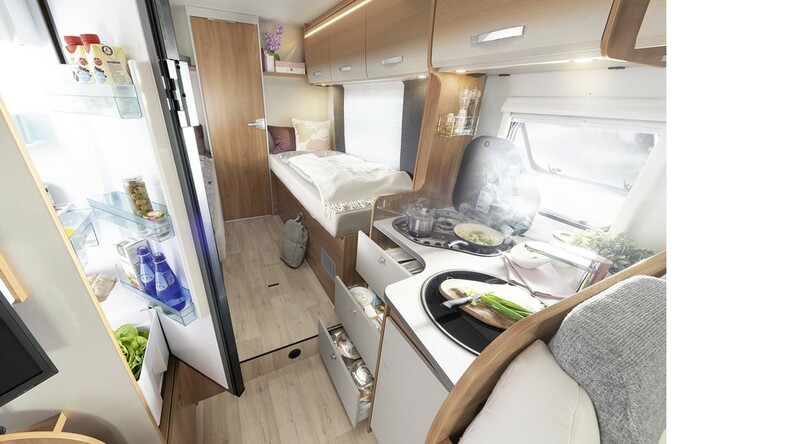 So the Low Profile models can be optionally equipped with a pull-down bed, the A Class ones have it on board as standard. 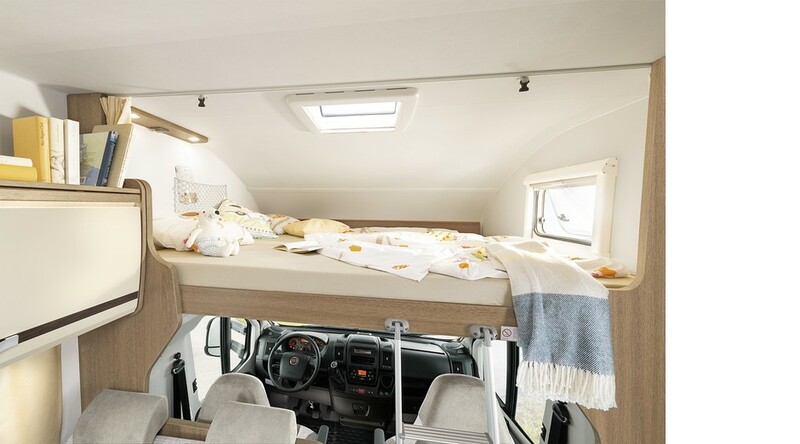 It offers additional beds in a flash. 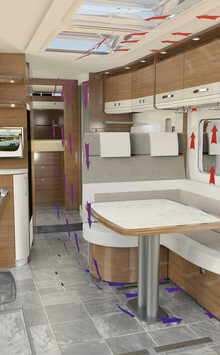 For those of you who prefer the outstanding details Dethleffs have created the Design package with many chic options. 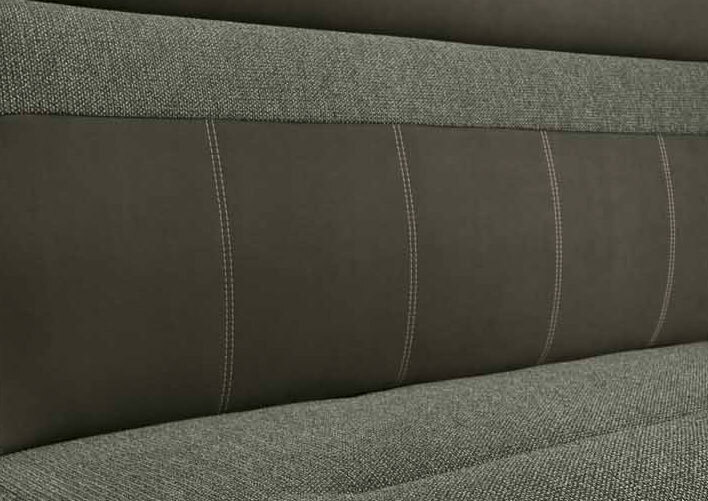 The Trend Low Profile scores with excellent road-handling properties. This sporting impression is accentuated by the dynamic lines of the cab hood (if desired with large, openable window) and the modern design. However, the Trend really steals the show when it comes to functionality. 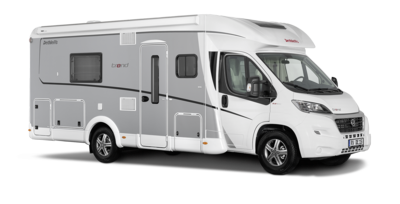 The standard feature is the Dethleffs drop chassis extension which allows extra large rear garages up to 115 cm in height! The garages have access doors on the left and right. 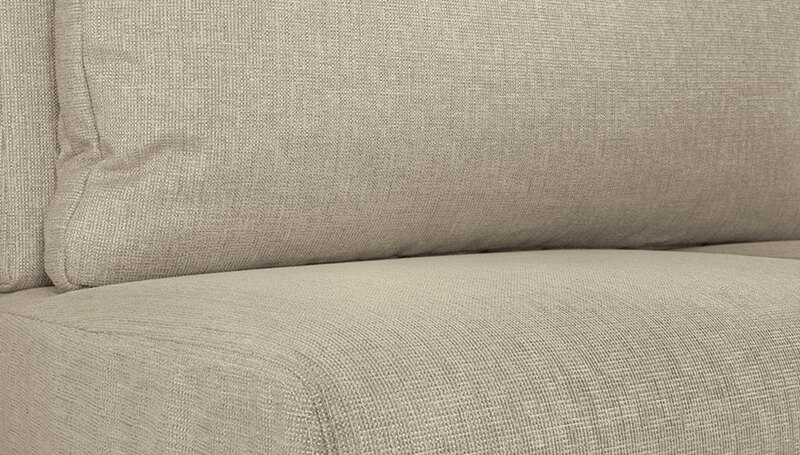 The exceptionally wide 70 cm living room door means an enormous gain in comfort. Experience a magnificent holidays at a great price – with the Trend A Class. 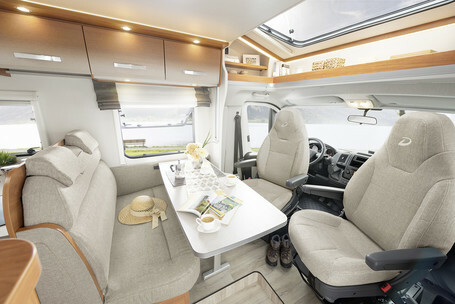 It is equipped with everything that the Dethleffs successful range stands for, and of course with the genes of a real A Class: Experience amazing comfort thanks to the large panoramic windscreen, generous space in the cab and also the standard pull-down bed which offers an enjoyable sleeping and at 195 x 150 cm, it is big enough for two. Note: The illustrations are examples only. They may also show accessories and optional equipment that are not part of the standard scope of supply. Actual model versions may vary. Subject to technical modifications and errors. For the interior you can opt for a Design package which gives a completely new look to the interior of the Low Profile and A Class models. 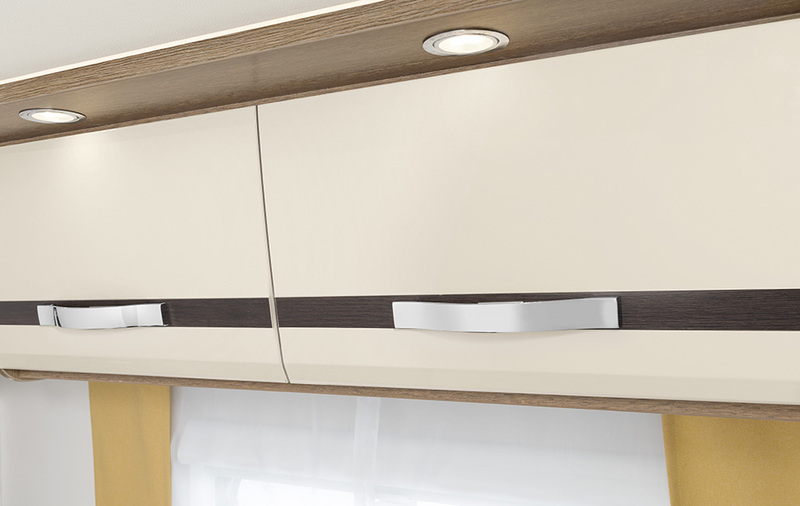 The modern wood décor Virgina Oak with its light grey wood shade together with the elegant highgloss element with Chrome stripe in the overhead locker doors give the interior a trendy and chic style. 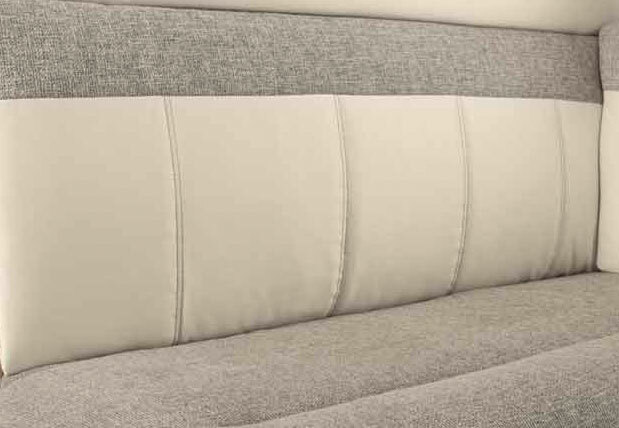 There are three matching soft furnishing designs to choose from and the cushions come into their own in the generous L-shaped lounge. Complementary lovely details underline the stylish look of the Trend making it a real eye-catcher. 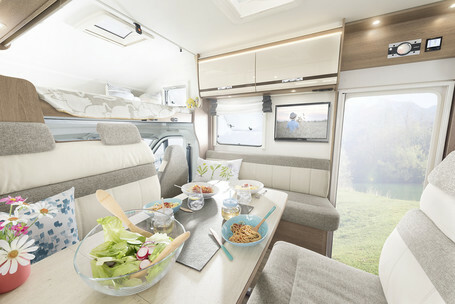 Standard soft furnishing "Design package"
More motorhome for your money. 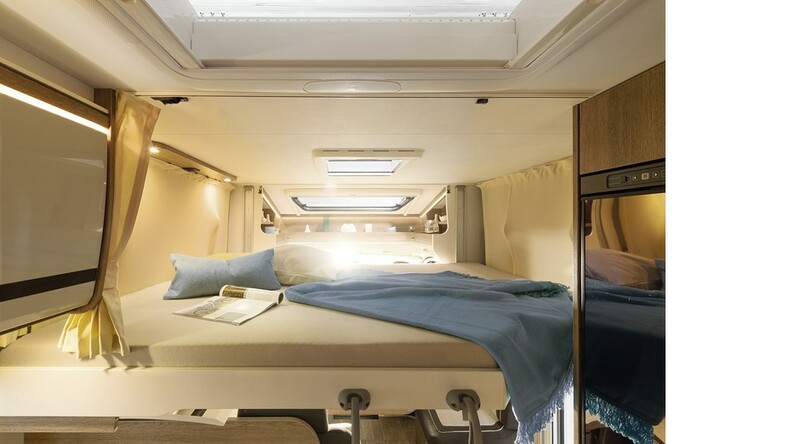 Whether it’s the large 142 l fridge, extra-wide entrance door or especially high rear garages for demanding transportation tasks – the Trend is the perfect start into the Dethleffs world of mobile travelling. At the same time the Trend Coachbuilt is an absolute light-weight: despite only being 3.5 t total weight, it can accommodate up to six persons (A 5887 & A 6977)! For extra of space and payload there is the model Trend A 7877-2. 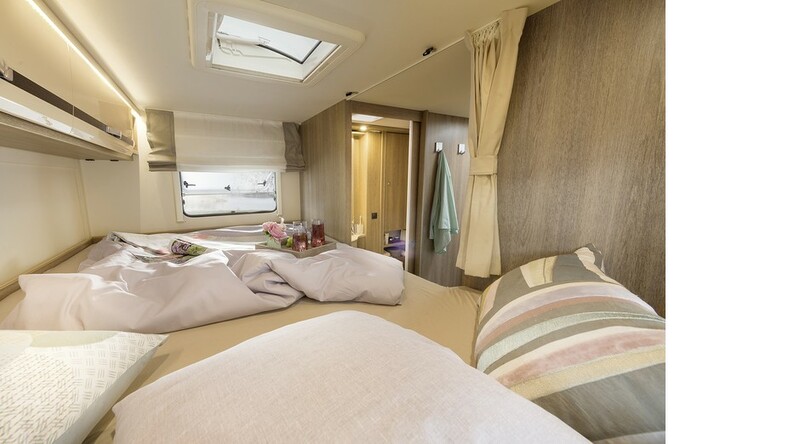 With its proud total weight of 5 tones if offers a lot of space to families – and all that at a very beneficial price. 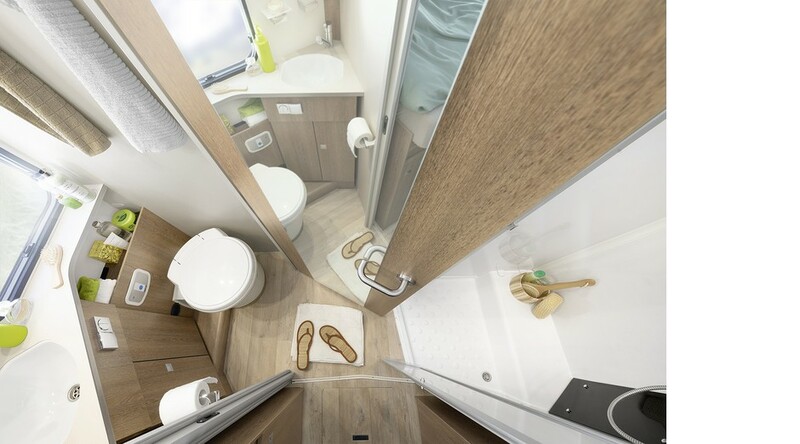 Furthermore its double floor construction makes it perfect for year-round travel. 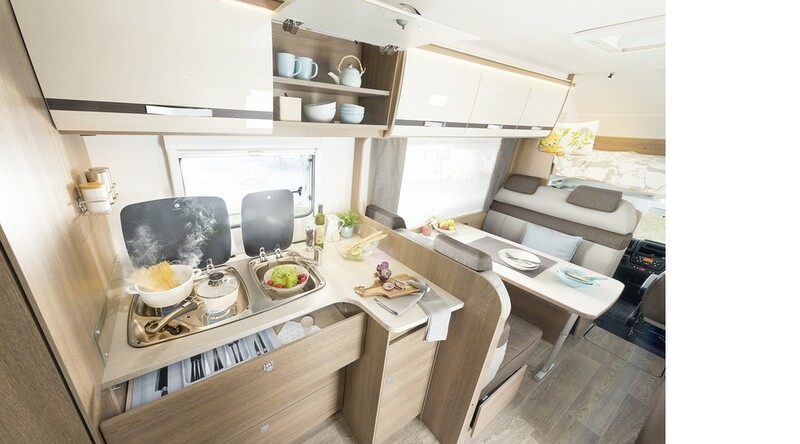 The Trend Coachbuilt is the ideal holiday companion for all those who have lots of luggage to take away. Whether its family items or sport equipment – everything can go on board. All bulky items can be stored in the large rear garages. 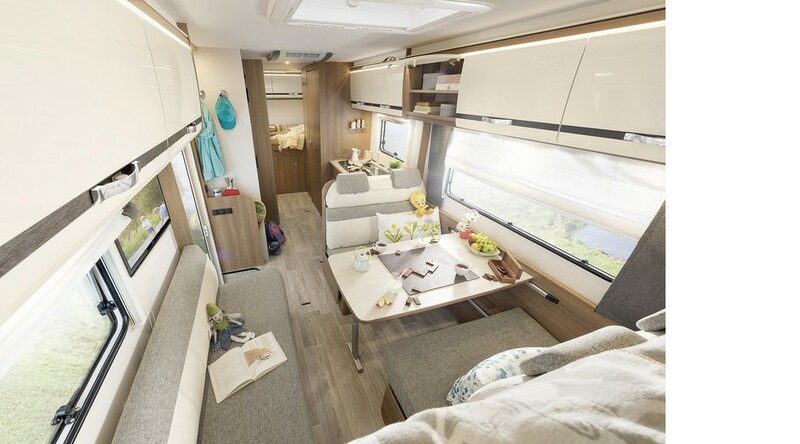 The lower bunk bed in the A 5887 can be folded away to create a storage space from the floor to ceiling. And – every family member can go on tour! Because even with 3.85 t of total weight this vehicle can still have 6 passengers (A 5887 and A 6977). 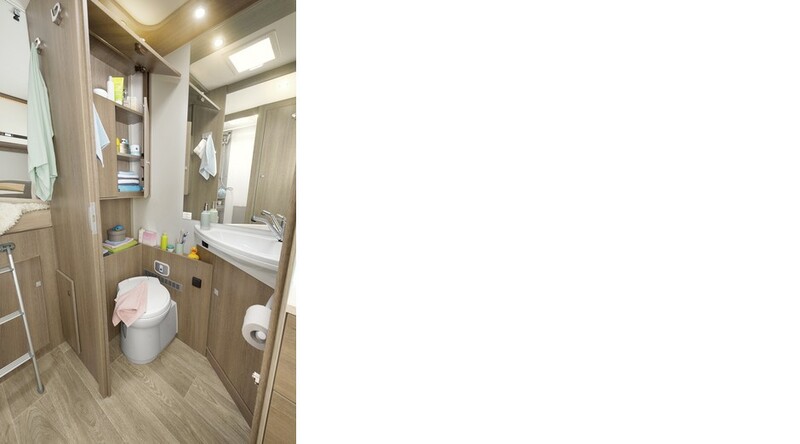 Two additional sleeping berths, thanks to electrical operation (option). 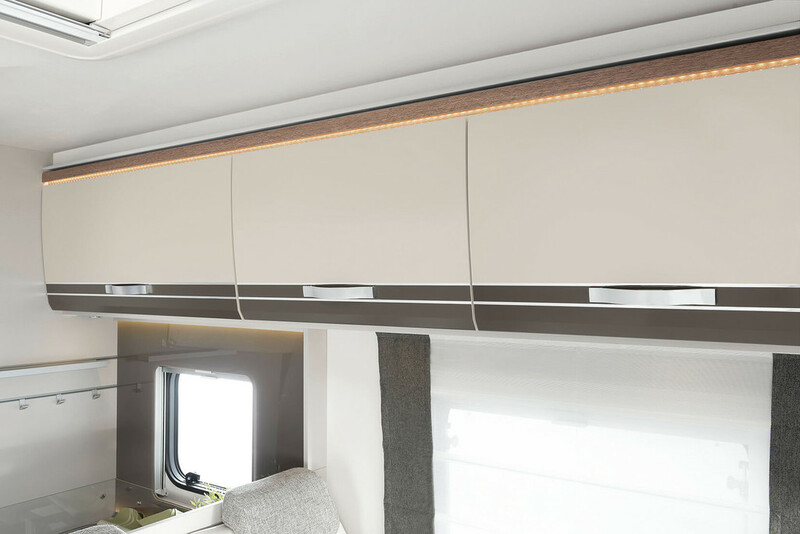 The standard cab blinds darken and insulate at the same time. Large pull-down bed with wooden slatted frame and 7-zone mattress. Childproof: Isofix bracket for child seats .. (option) (not available for T/I 7057 DBL and EBL). 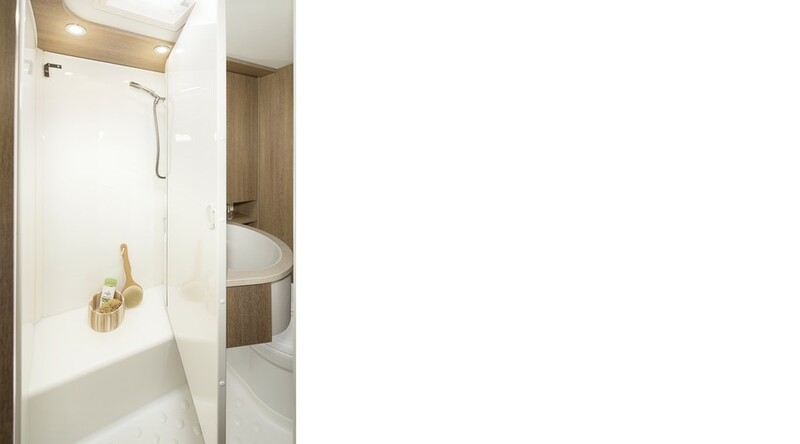 Practical: Storage compartment in entrance area (depending on model). 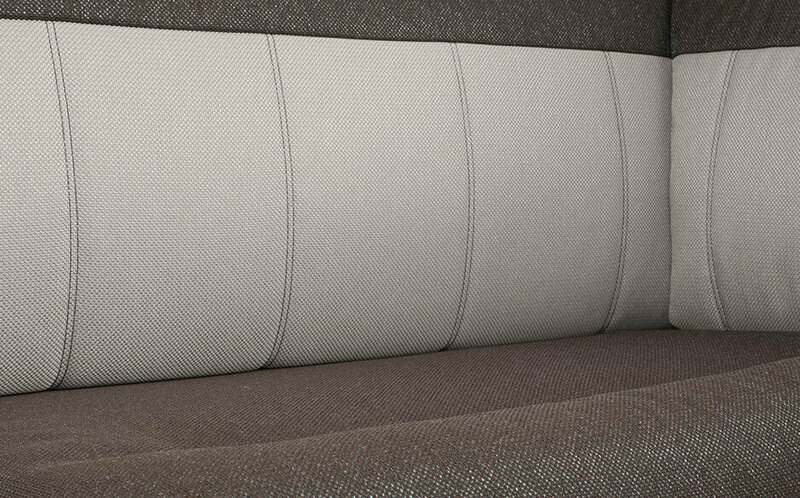 Lounge conversion to belted passenger seats (for T/I 7057 DBL and EBL layouts). 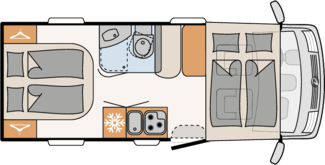 Dethleffs Naviceiver (option) incl. navigation system and DAB+ radio reception. 70 cm wide entrance door with window and central locking. Large opening skylight in cab. 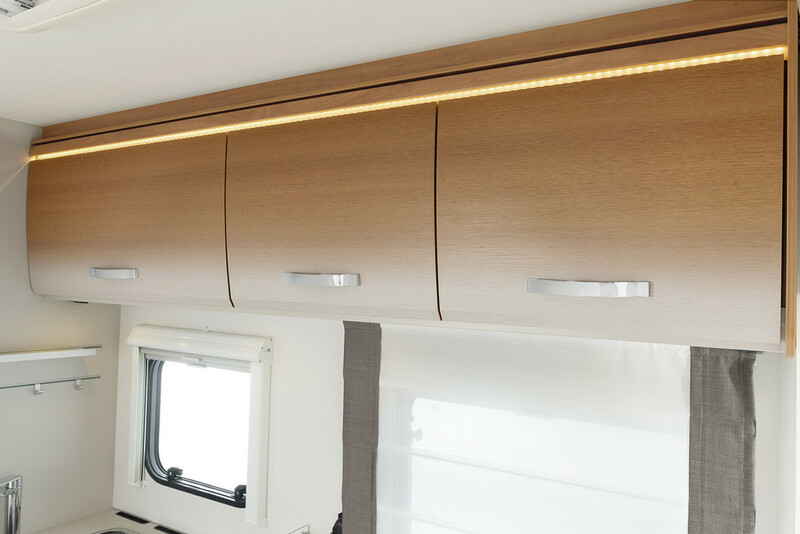 T: Stylish safety feature: LED day-time running lights. I: Easy to service: large engine bay opening for servicing all relevant parts. I: Coach-style mirrors for an unobstructed field of view. T/I 7017: Through-loading possibility under the single beds (95 x 55 cm). 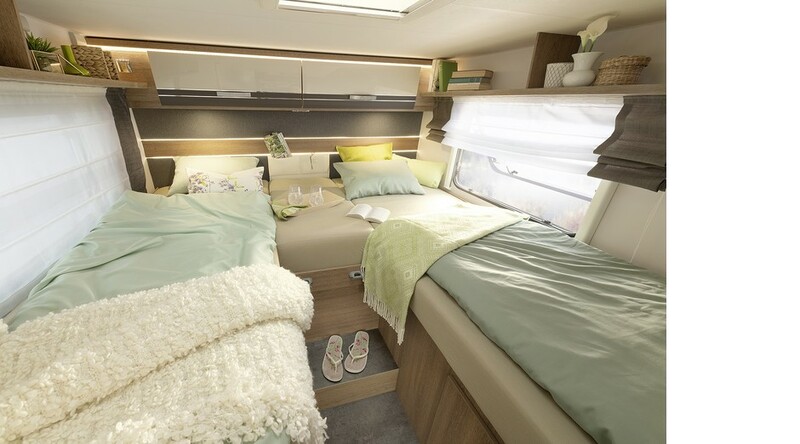 The garages of the single beds’ layouts are high and loadable from both sides. Clever: Lighting and 230 V socket in rear garage. 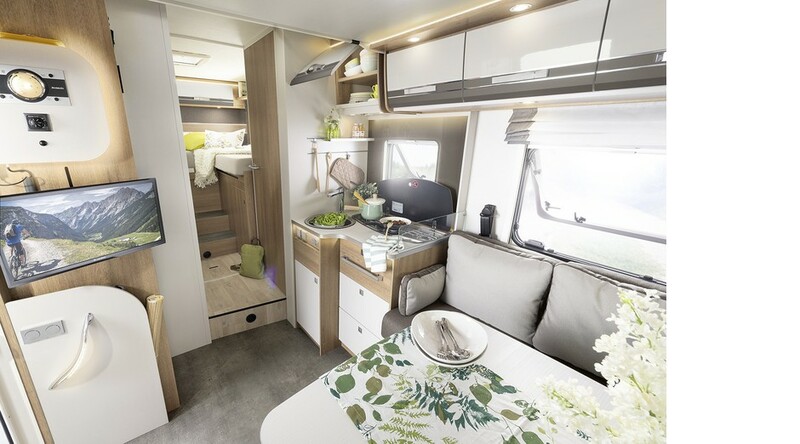 There are many reasons to buy a Dethleffs Motorhomes but one of the strongest is how committed we are to our customers, ensuring they get the best out of their vehicles. 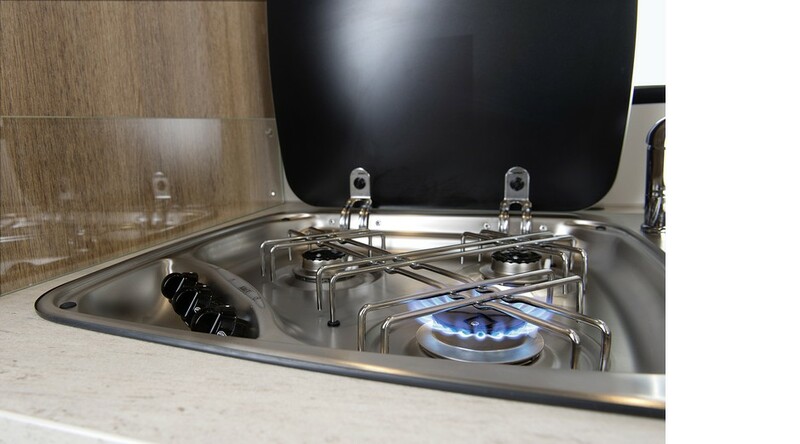 Dethleffs - That means over 75 years of extraordinary development and trendsetting ideas all implemented for the benefit of our very valuable customers. (Visits by prior Appointments only).